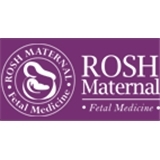 ROSH Maternal, OB/GYN, Infertility, & Ultrasound (New York) - Book Appointment Online! When complications arise, you can depend on ROSH Maternal-Fetal Medicine, OB/GYN & Ultrasound Services Located in Manhattan. We are the trusted and caring high risk obstetricians of choice for expectant mothers and fetuses. Daniel Roshan, M.D. is a graduate of Johns Hopkins Hospital and Maternal Fetal Medicine Fellowship Program (Ranked #1 hospital; Worlds Best Hospital for 10 years and running). We provide all modern medical procedures, Infertility Services, complete prenatal care, Ultrasound, Amniocentesis, Chorionic Villus Sampling, Cerclage, laparoscopic surgery, In-utero transfusions and fetal 3D/4D Ultrasounds all in one office. Please do not hesitate to contact us for an appointment or visit us at the corner of Madison Avenue and 36th Street in the heart of New York City. Now with four offices to serve your Health and Wellness needs. I have a timed appointment but waited about an hour+ before going into the room. Even after that i waited for about 10+ mins to see the Doc. I'm guessing the Doc was REALLY busy. This was the fastest check up I have had. (not sure if i like that). I have mixed feelings. She is very personable and explains any procedures that I might needed. I really like Dr Halpern. She’s smart, compassionate gentle but also straightforward. Informative and kind, good plans for ahead.